We’re hammering away at Mastering the Crucifix instructional to get it finished now that all the video has been shot! 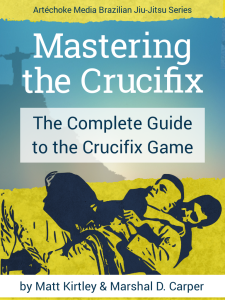 Please check out the test version and let us know what you think: Access “Mastering the Crucifix” demo here. The main purpose of this test is to see if people like GIFs or MP4s better for the short looped techniques. Marshal used GIFs for 3-D Jiu-Jitsu, but we wanted to explore other options. Let us know what you think! Below are the pros and cons of each format, but we want to get your opinions before deciding. Next Mastering the Crucifix is Live! Did You Get It Yet? Previous Recording Complete for “Mastering the Crucifix”!